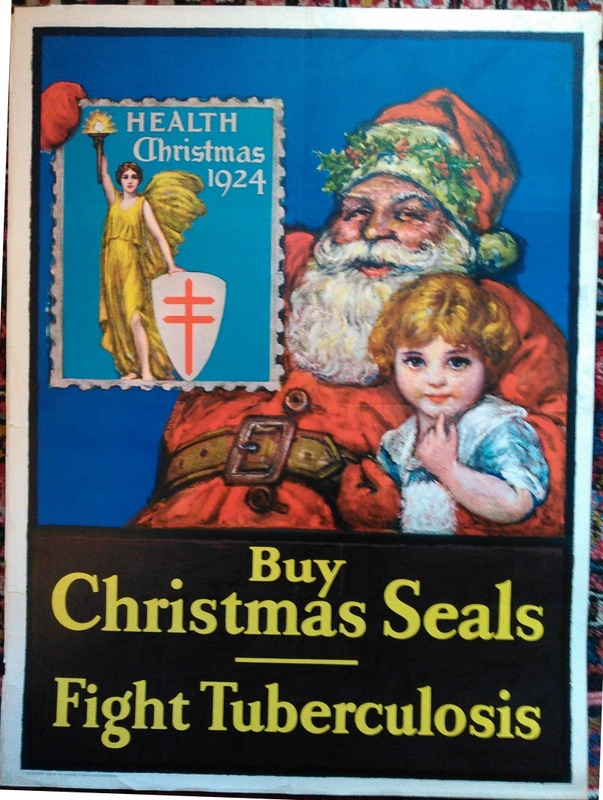 CS&CSS member, the late Joseph S. Wheeler, Jr., exhibited his Christmas Seal poster collection for many years across the country, primarily at stamp shows. 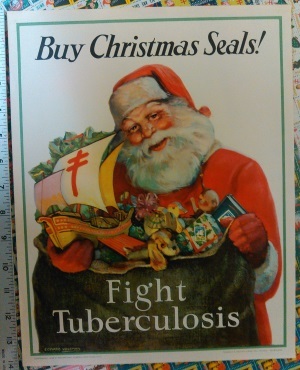 His collection was educational and fun. 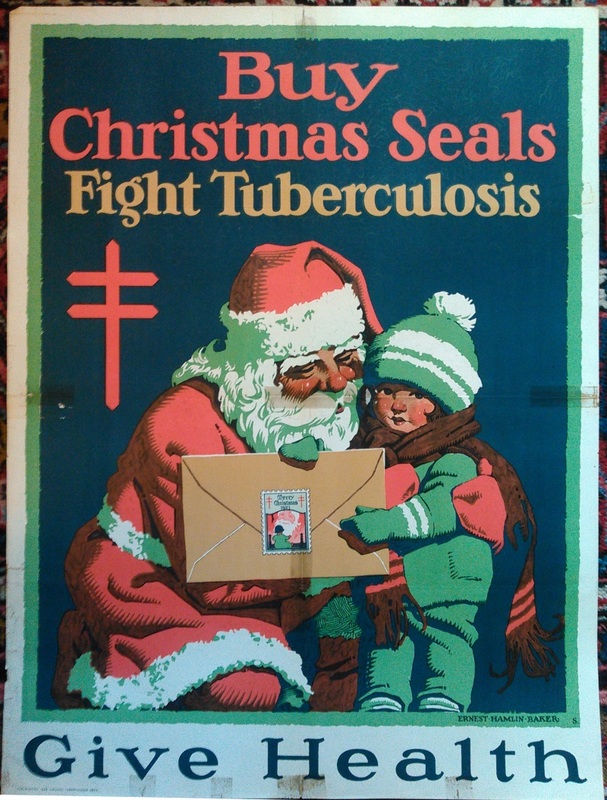 Illustrated here are the earliest Christmas Seal posters. 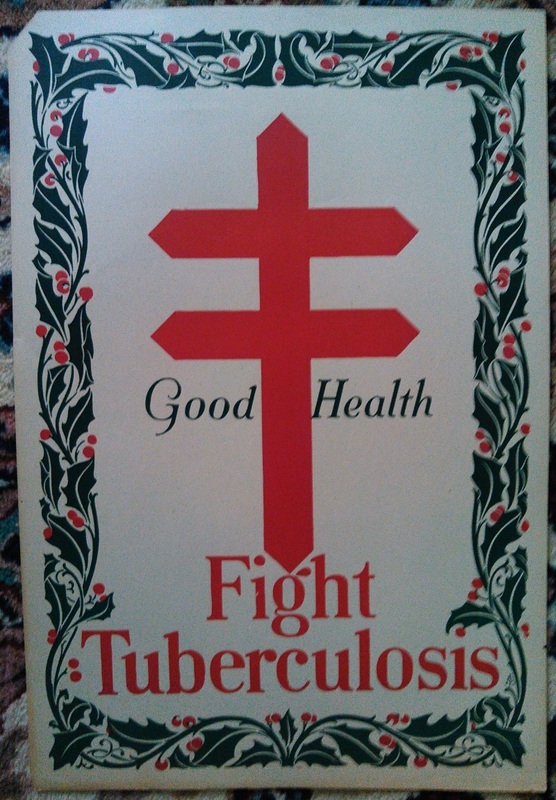 The "Good Health, Fight TB" with double barred cross and holly, issued between 1908 and 1910 by the Federated Women's Club, was reported by the National Tuberculosis Association to be one of the earliest TB posters. 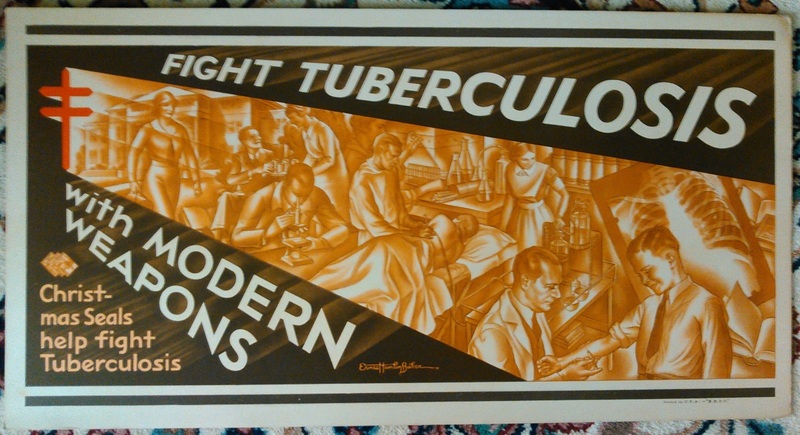 1) The horizontal format posters were used on public transportation (buses and subway cars), and seem to have been phased out in the 40's. 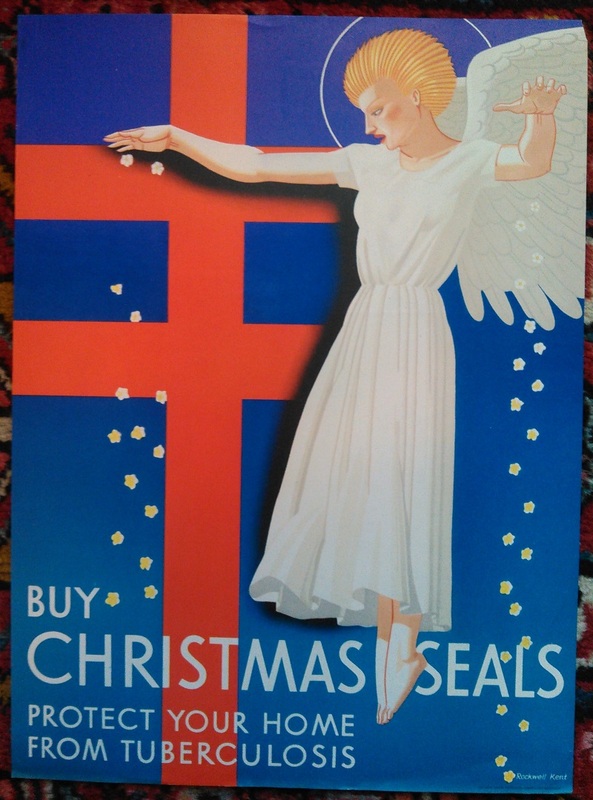 2) The vertical format Christmas Seal posters with Christmas Seal designs, first issued in 1920, form a long series which came in several different sizes. 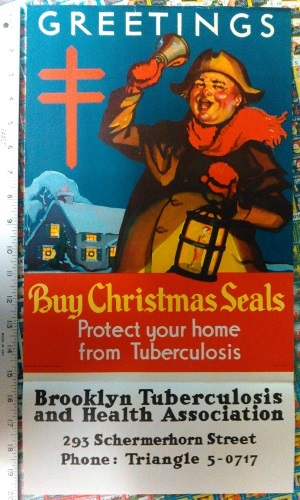 These two rare TB seals are listed in Green's Catalog of US Local Tuberculosis seals and were issued during WW1. 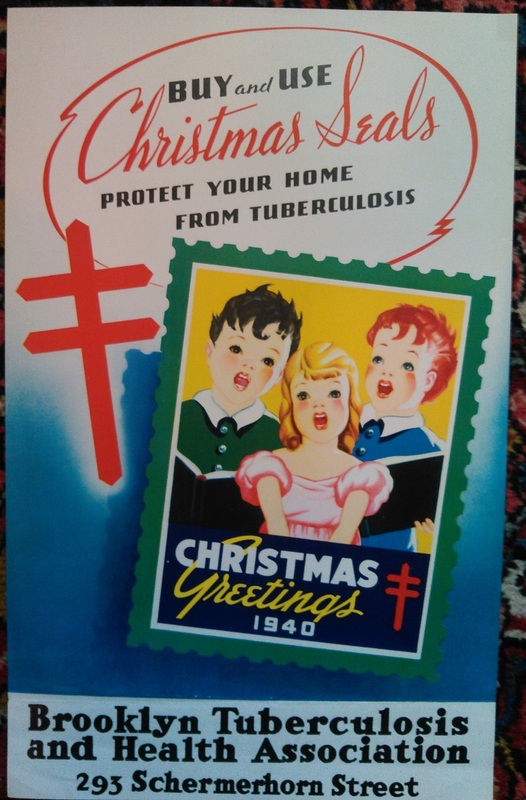 Sold in China, as well as the US. 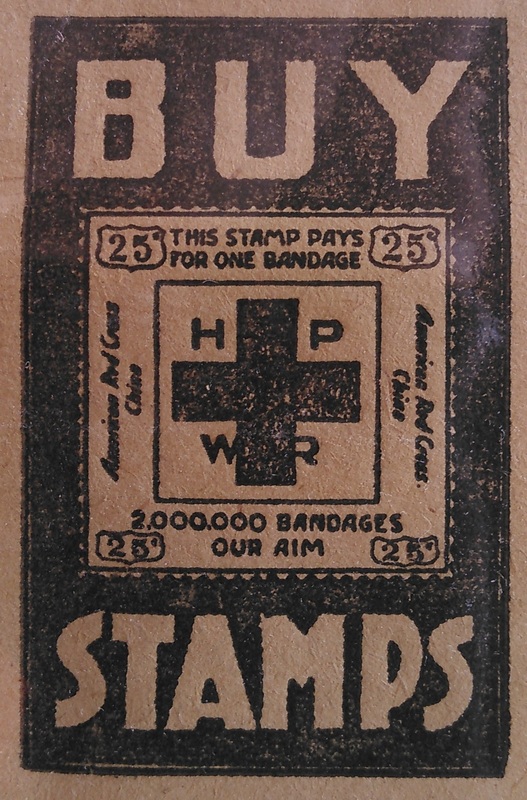 This full page newspaper advertisement is from the North China Daily News, May 1918. 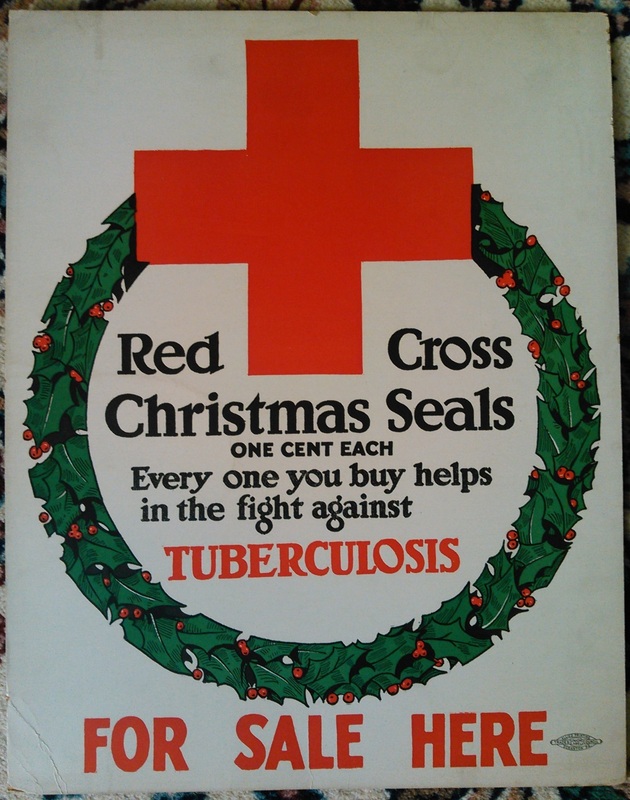 Twenty-five cents was a large sum for a fundraising seal at the time, and paid for one bandage. 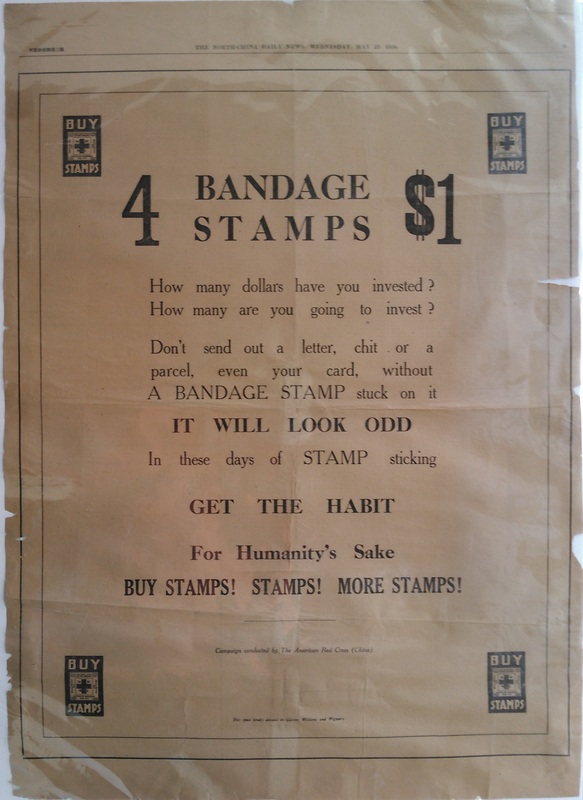 It is unknown if the American Red Cross goal of 2,000,000 bandages ($500,000) was met, but purchasers were encouraged to use them on their mail. 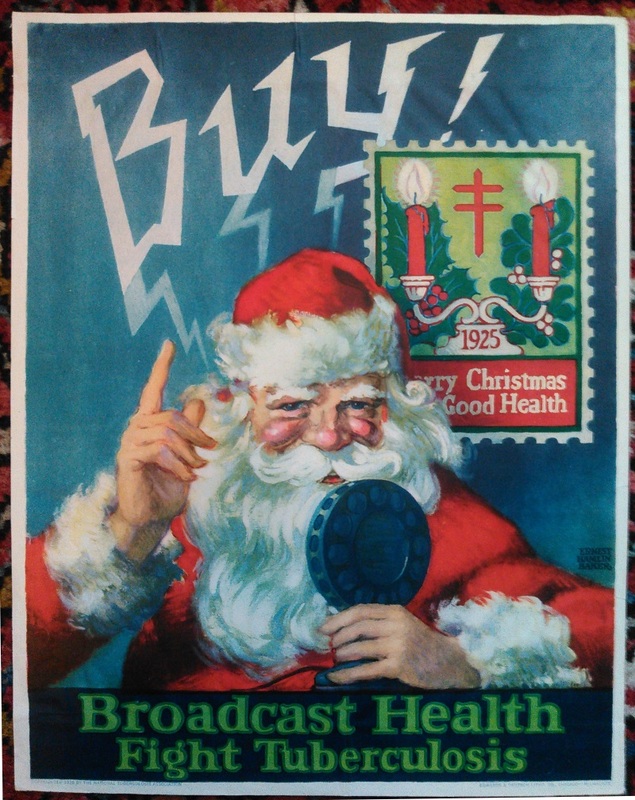 I came across this old newspaper when looking thru a stack of over sized items I put away 20+ years ago. 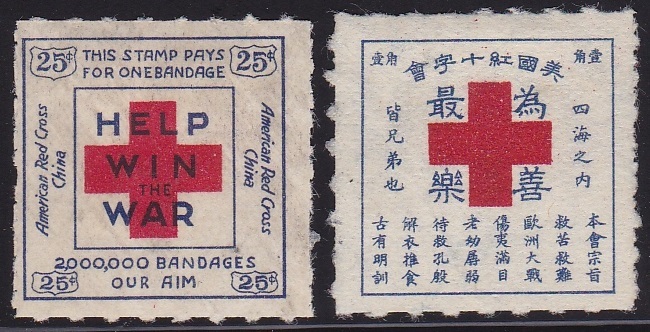 The #5 seal has English text, but the #6 is in Chinese, and translates, "The aim of the American Red Cross is to relieve the wretched and wounded. 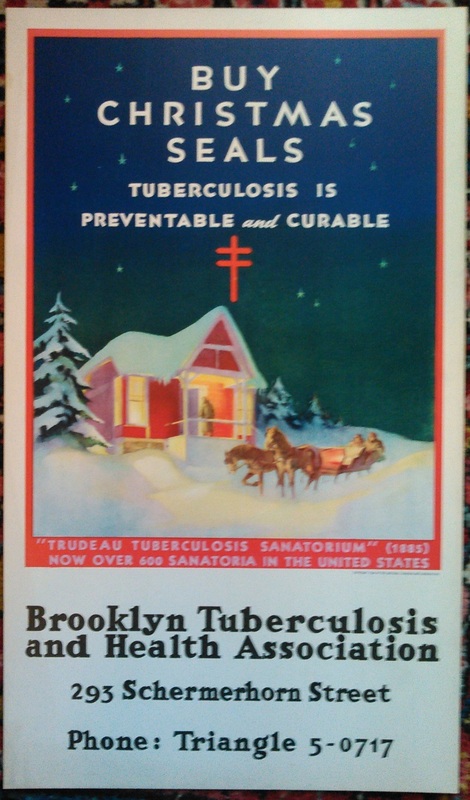 The European war has produced a miserable condition..."
I "acquired" it as a teen. 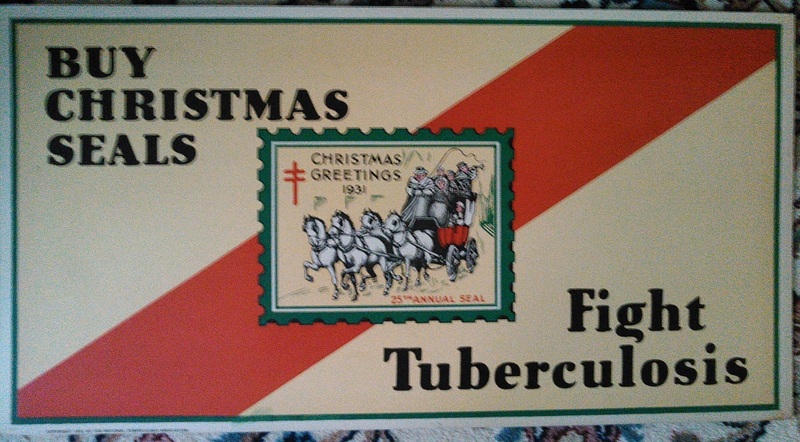 My father was a career naval officer who was also a buyer and seller of collections while we moved around. 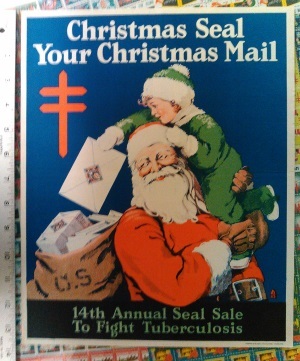 He purchased a huge lot of stamps that included a cigar box full of miscellaneous stuff from around the world which he sold me for I think $20. In it, I found this card and I just stuck it away with my other accumulated "collection" and eventually realized its rarity. 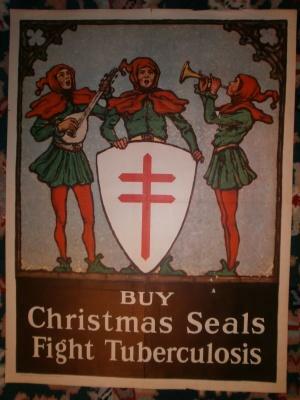 The origin of the type 4 seal is not known. 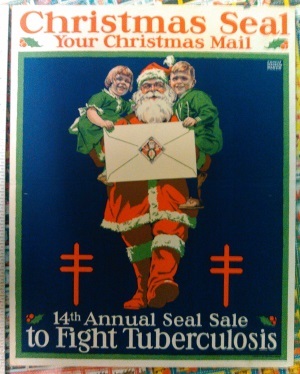 Green's Catalog states: Unknown Printer, A very good copy of Type 2 but slightly smaller, with green dotted lines between seals which resemble rouletting, red and green on heavy manila paper, ungummed, 35×21½mm, imperforate. Copies exist with printing on back. 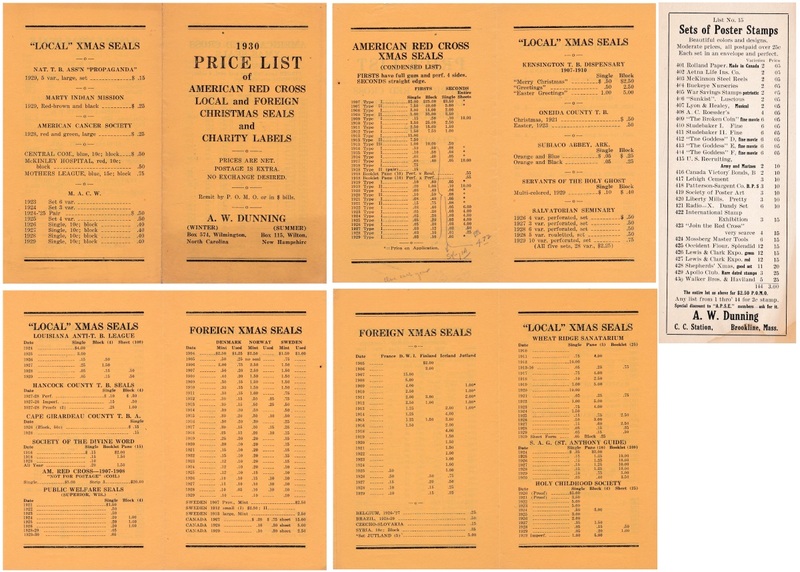 In the 1970's, when Ray Mosbaugh wrote the US All Fund Catalog, he must have had difficulty translating Američtí Češi Sobě, Ethnic #2230, but with the help of the internet, the meaning is "Czech American Rooms". 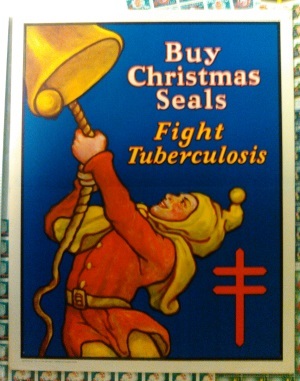 Issued in 1902, this is a very early US Czech Ethnic fundraising seal. CS&CSS member Richard Bridges reported that #2230 was issued by The Council for Higher Education, or CHE (Matice Vyššího Vzdělání), with Šimek and W. F. Severa as the founding members. 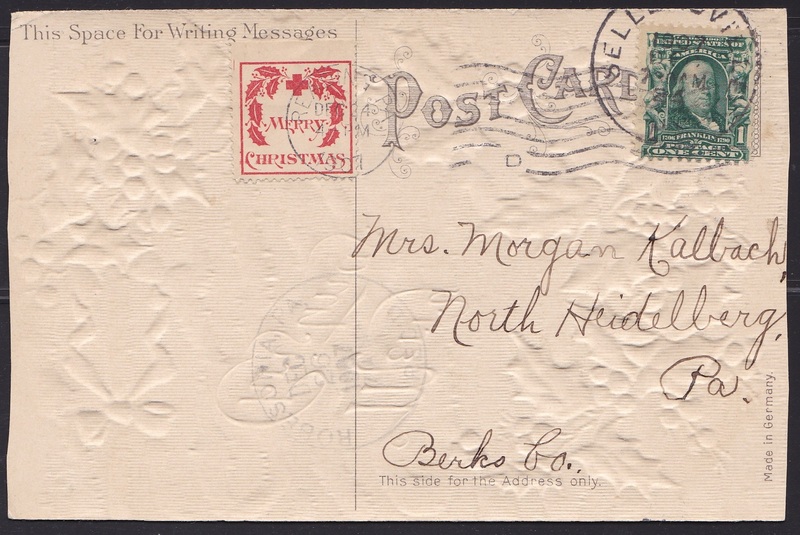 In 1901, Cedar Rapids businessman W.F. Severa attended a high school graduation in that city and was impressed by the intelligence and presence of the valedictorian, who was also a Czech-American. Severa was dismayed when he learned that the young man was to become a manual laborer because he could not afford to attend college. Severa agreed to finance his education. The young man, Efrem (Jeffrey) Hrbek, refused what he considered to be charity, but accepted an interest-free loan. Hrbek became the first recipient of a CHE award and eventually received his Ph.D. from the University of Iowa and became a professor of Czech language and literature at the University of Nebraska. 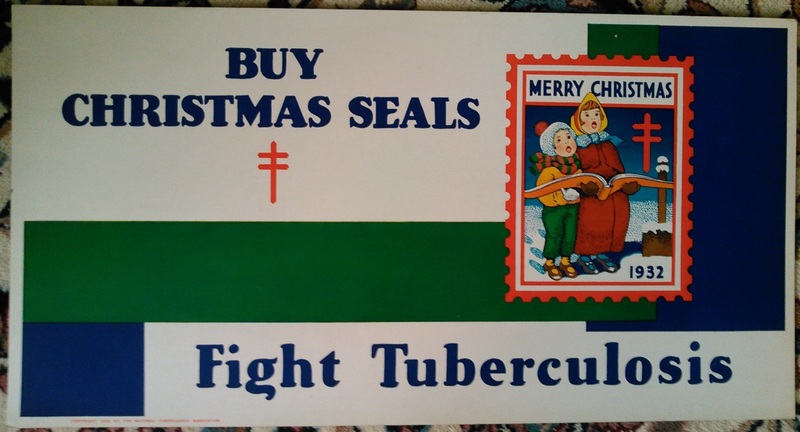 Within one year of its founding in 1902, the CHE had 155 members, received $1,452.39 in donations, presumably in part from selling these fundraising seals, and made loans ranging from $25 to $200. The first president of the Board of Trustees, Professor Bohumil Šimek of the University of Iowa, undertook a series of nationwide lectures and wrote articles promoting the value of education to the Czech-American community. 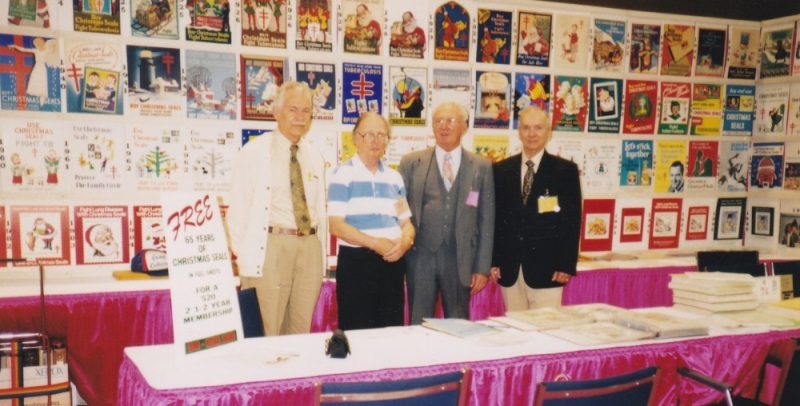 The history of Czech Language Programs and the Komenský Club are inseparable. The club, a branch of the CHE, named for Jan Amos Komenský (Comenius) was instrumental in the fight for Czech language instruction. 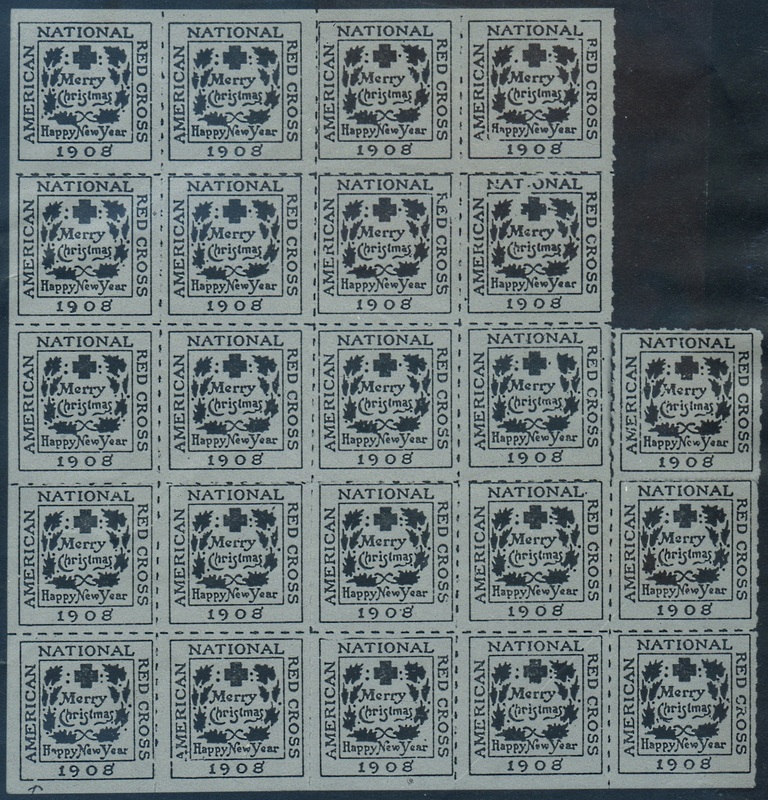 Two portraits appear on the lovely American Bank Note Company intaglio engraved seal. John Amos Komenský (Comenius) was an impoverished Czech born in the late 1500's. He became a philosopher, theologian, and religious refugee, but is best remembered as one of the earliest champions of universal education. Karel Jonáš (Charles Jonas), a Czech emigrant to the US in 1862, was a journalist and politician. He was elected to the Senate twice, and was the Lieutenant Governor of Wisconsin. His home in Racine is on the National Register of Historic Places. 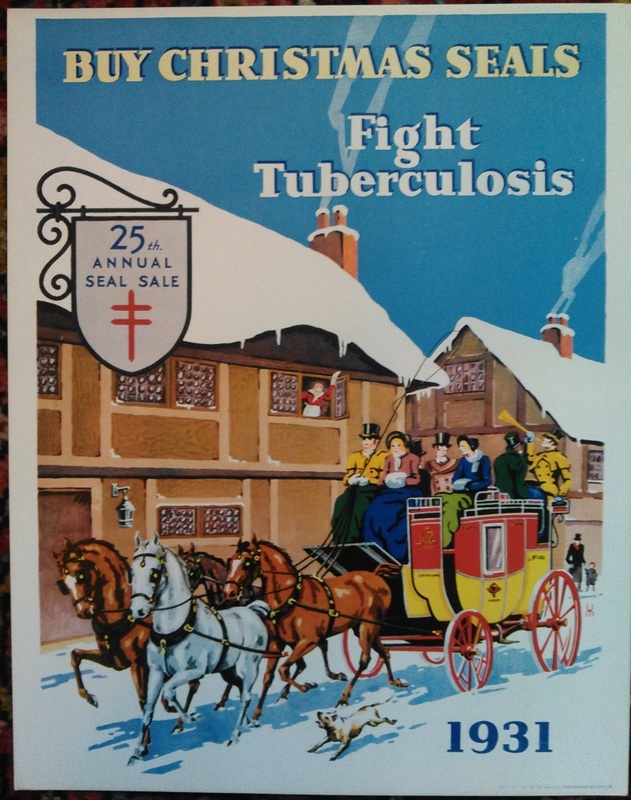 Priscilla Leonard was Emily Bissell's pen name. 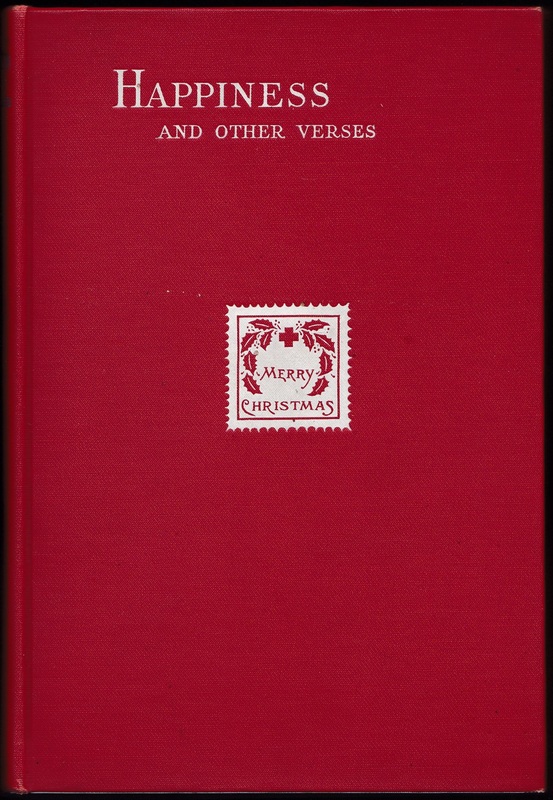 in 1927 she published a book of poetry, Happiness and other Verses, with an enlarged embossed facsimile of her 1907 type one Christmas Seal on the cover. 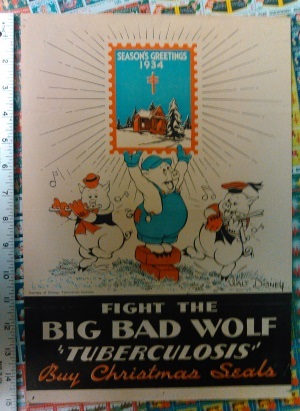 The rare first edition was printed by J. 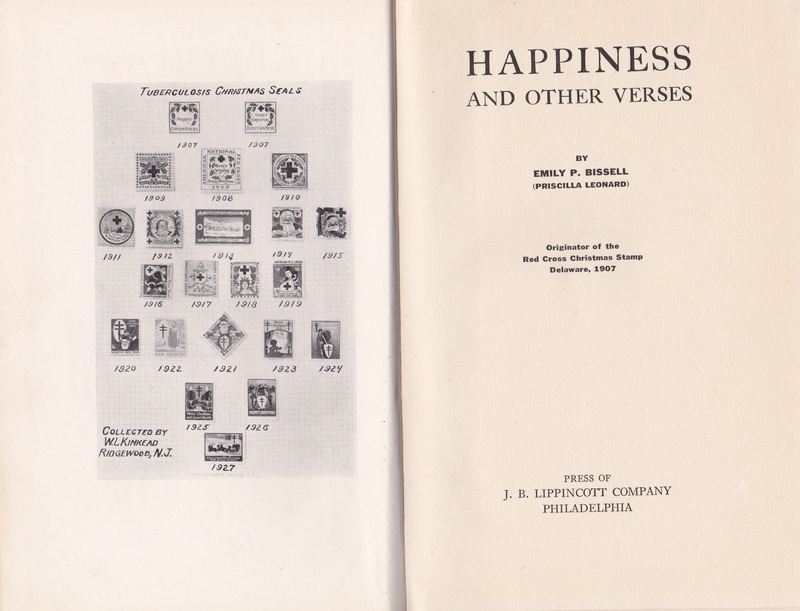 B Lippencott, Philadelphia, and is 224 pages, with hard cover. 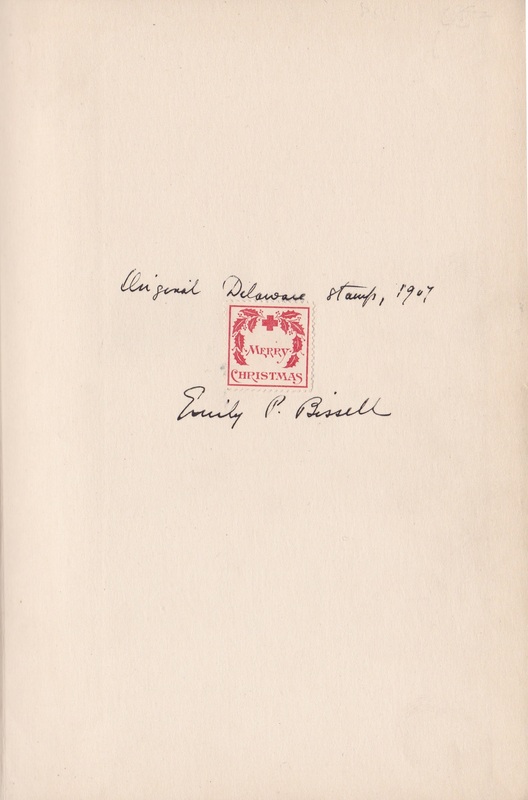 Emily Bissell autograph most of them and stuck in a genuine 1907 type 1 seal. 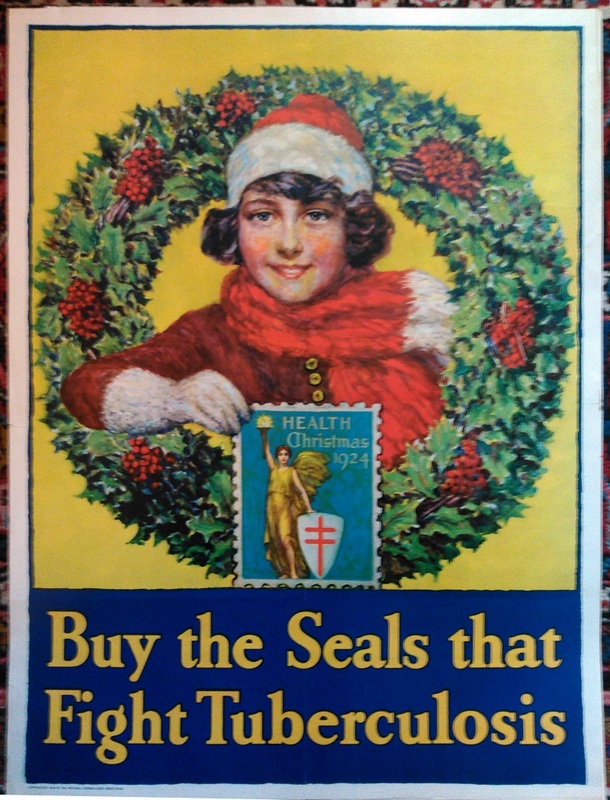 The frontispiece illustrates a US Christmas Seal collection through 1927, "Collected by W. L. Kinkead, Ridgeway, N.J.". 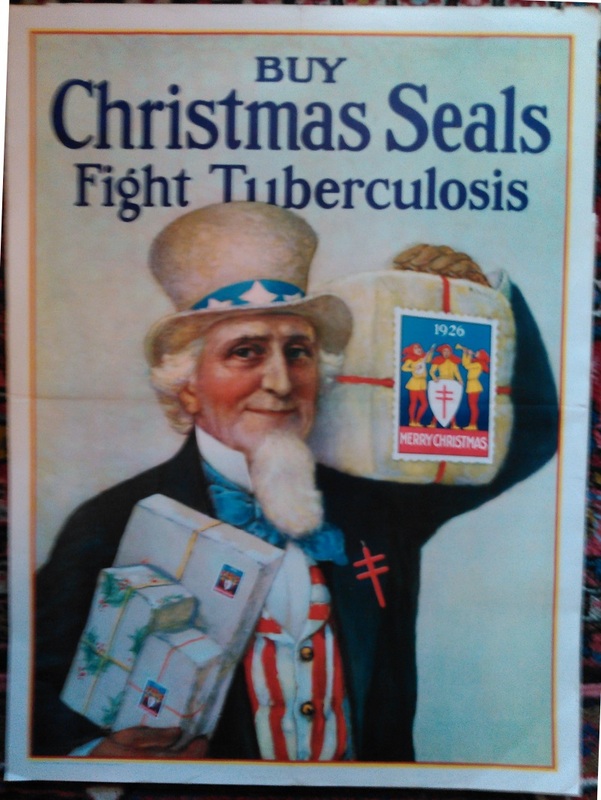 Kinkead was the #1 member of the CS&CSS as well as the first President of our club. 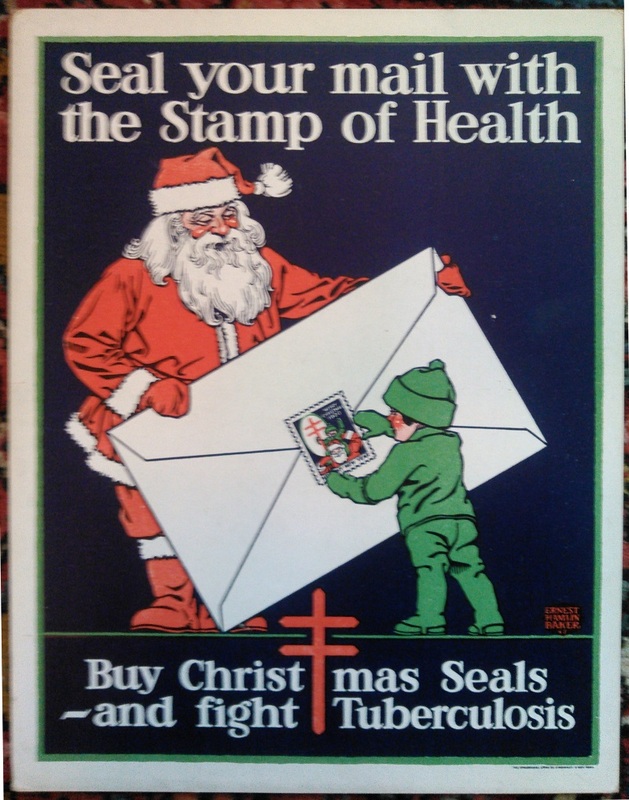 The appendix, The Christmas Stamp in America, is an article by Bissell on her 1907 Christmas Seal campaign, when education on the nature of the disease was as important as treatment for the sick. 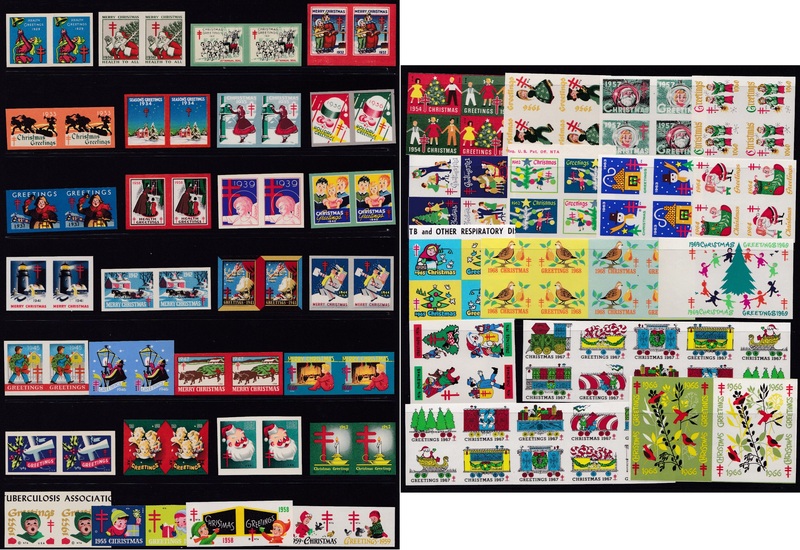 CS&CSS Member Lloyd Thrower went to a lot of effort to scan and upload his fine collection, and we are thrilled to be able to share it with collectors everywhere. 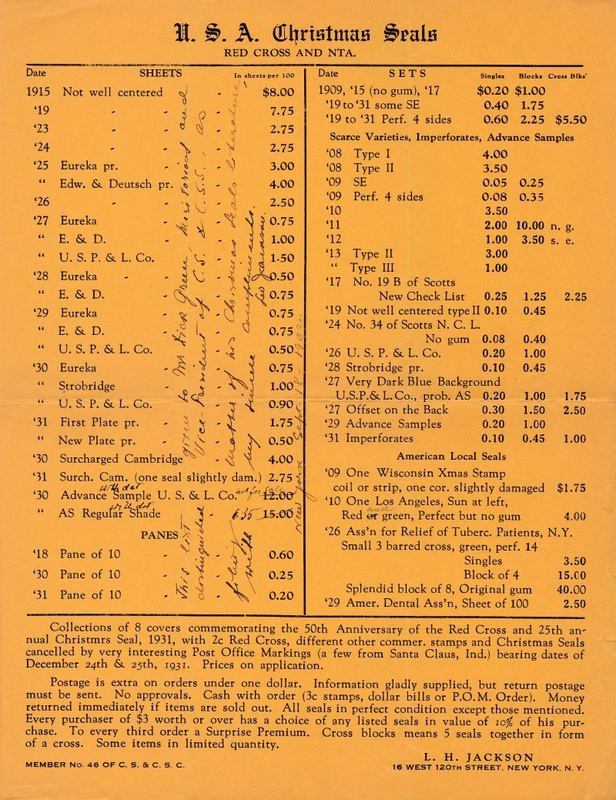 1) Original 1931 membership list of CS&CSS; The first 78 pioneer members of our hobby. 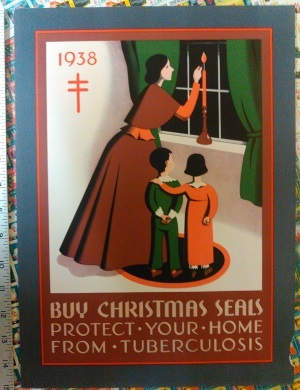 2) The first Christmas Seal Checklist from May 1928 Scott's Monthly Journal. 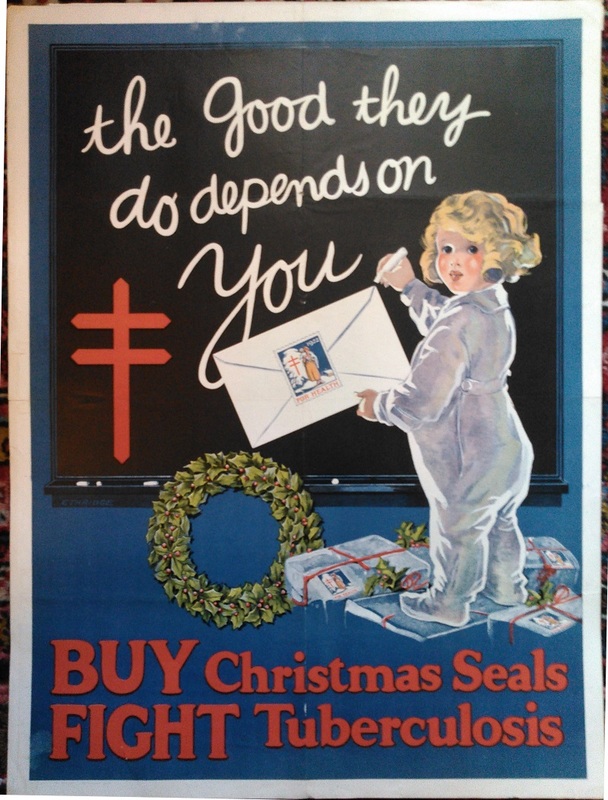 By 1935, Christmas Seals were included in Scott's Specialized Catalog of US Postage Stamps. See 01-28-1015 News item. 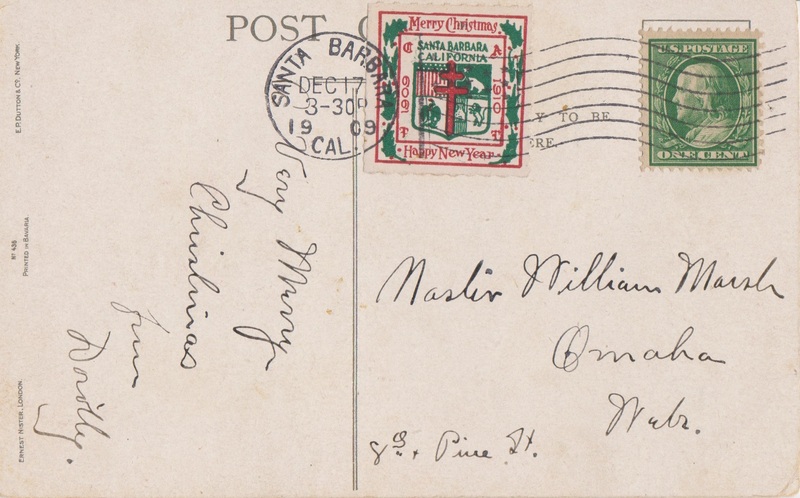 One of the earliest Christmas Seal dealers was a well known stamp dealer, A. W. Dunning, who was written about by philatelic historian, Herman Herst. 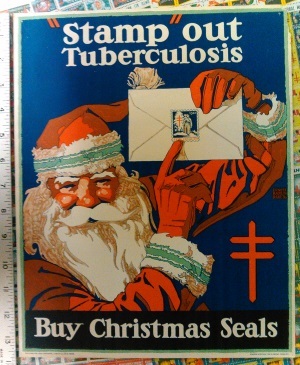 In the 1930's Elmer Long dealt in stamps as well as Christmas Seals. 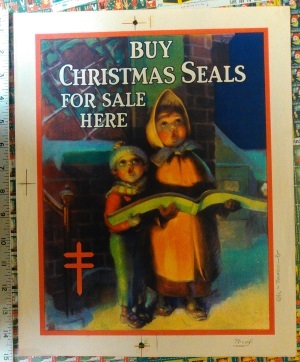 Vernon Bressler worked for Long, and eventually purchased his Christmas Seal inventory. 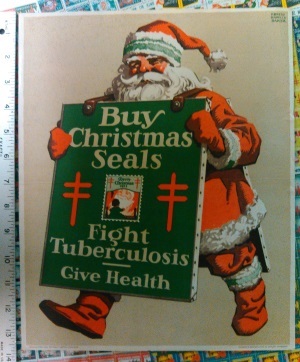 Vernon Bressler was a well known Christmas Seal dealer for decades, working into the 1990's. 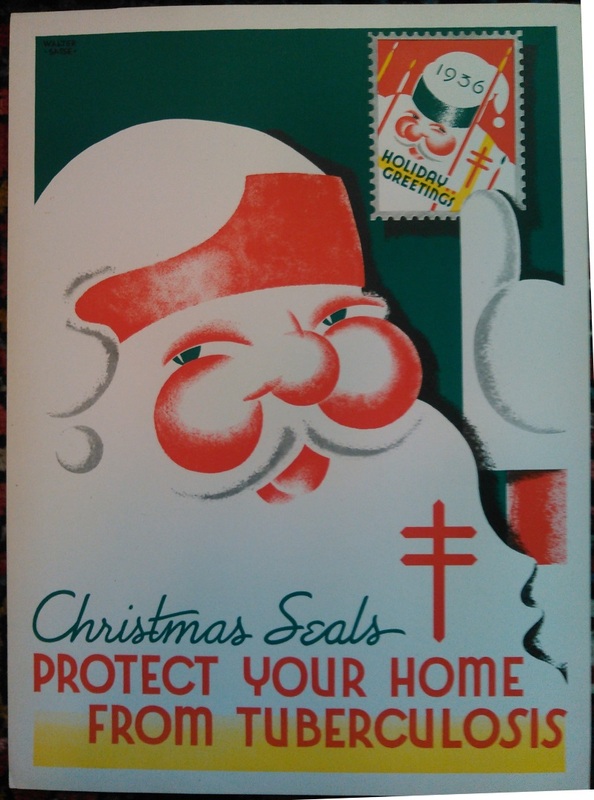 A copy of his 1969-70 Christmas Seal Handbook was submitted by CS&CSS member, George Painter. 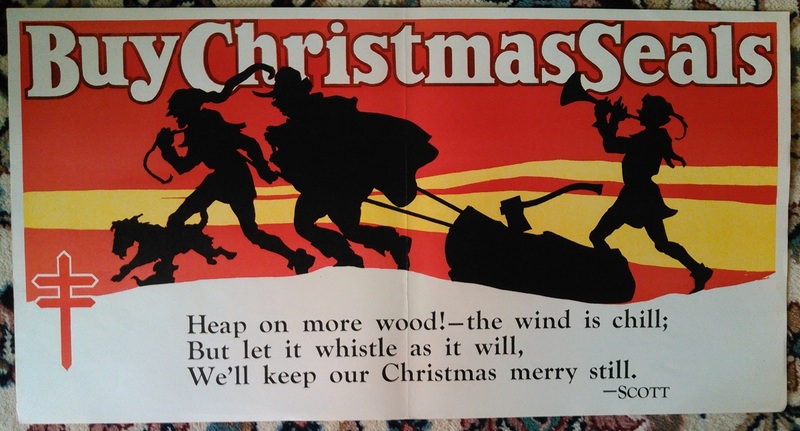 Bressler, and Long before him used illustrations by professional cartoonist, Couthard. 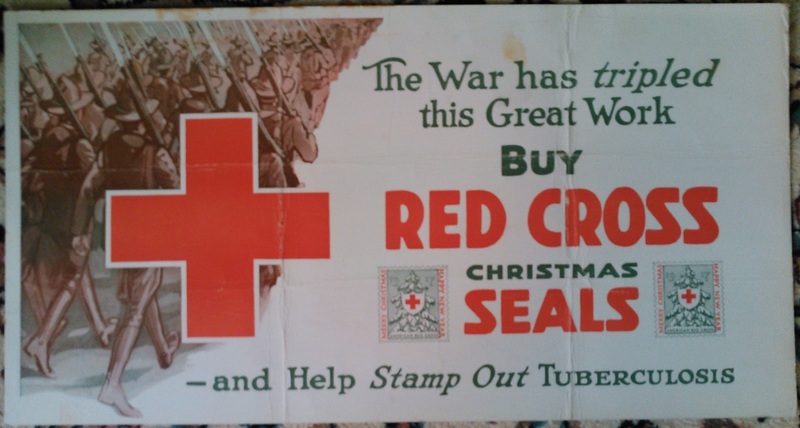 Many members of the Christmas Seal & Charity stamp society were also dealers. 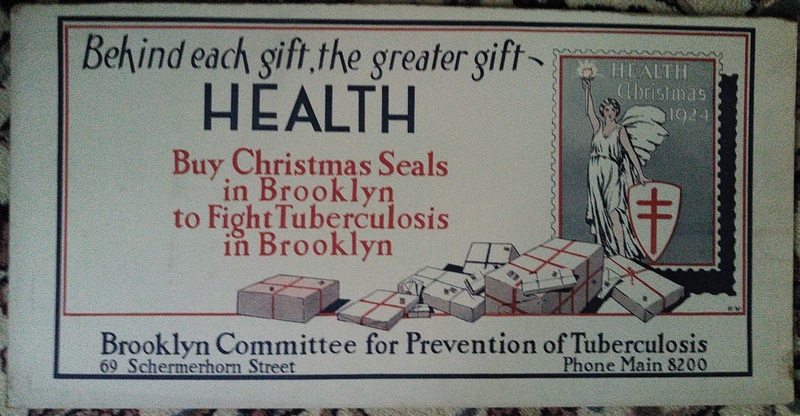 Amy Ellen Davis, and Charles Lorenz, who ran a collector service for the National Tuberculosis Association, before purchasing the inventory, were two of them. 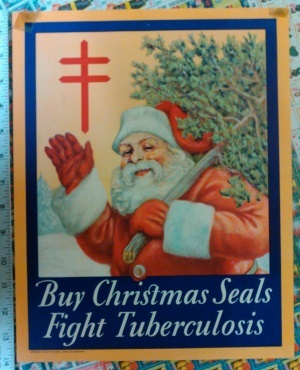 So far, this seal is more rare mint than tied on. 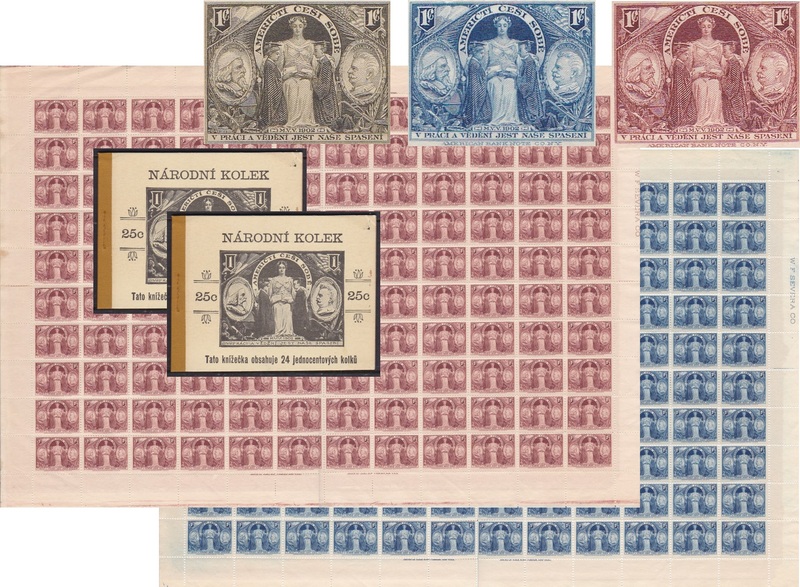 With less than five known copies, still many collectors would prefer a tied on. 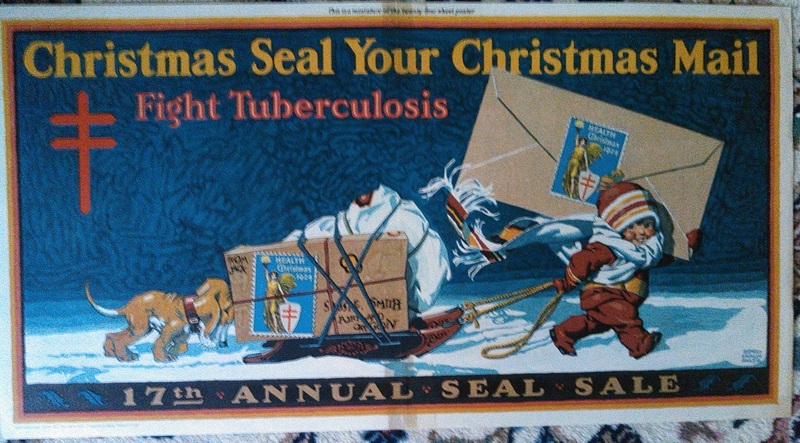 The 1909 Santa Barbara US local TB seal was not discovered until the late 1970's. 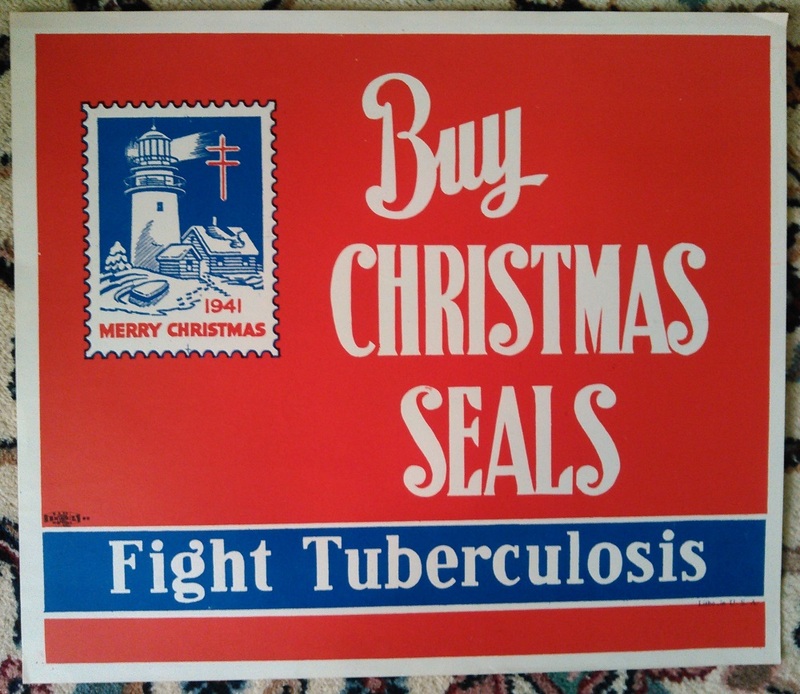 The same seal exists with other California city names. 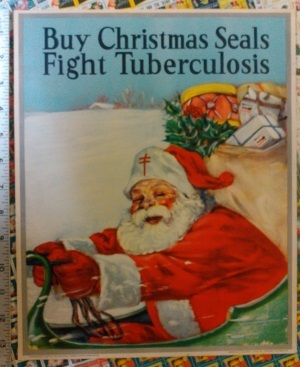 This was discovered on eBay. 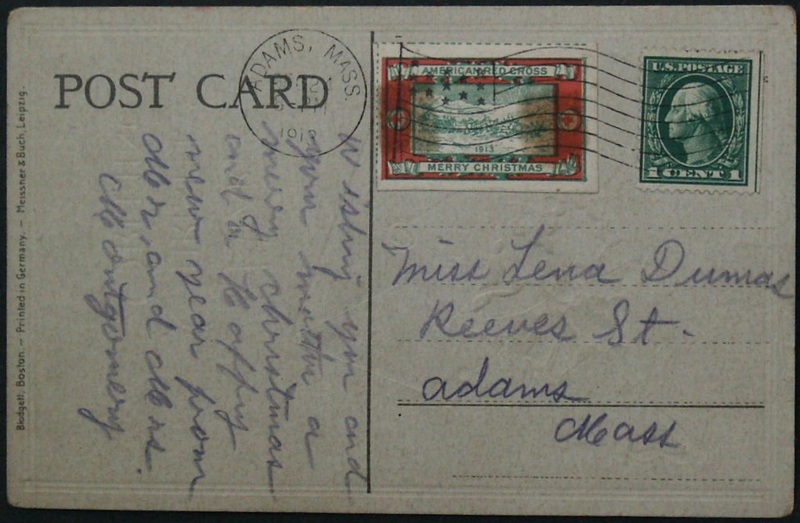 Unfortunately for the seller, the primary illustration was a rather ordinary picture postcard. 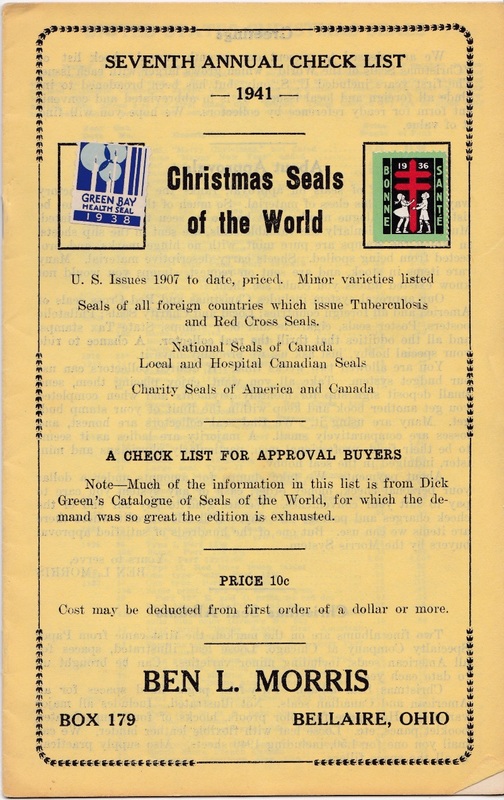 The 'Seal News Table of Contents for Back Issues' project is not to be confused with early Seal News indexes which covered the period of 1947 through 1988. 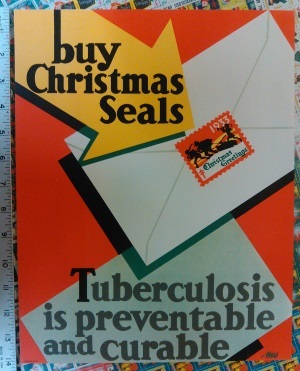 These early indexes, mostly written by past Seal News Editor Ray Mosbaugh, primarily contained information on seal issues by date and society, as well as the name of the collector that reported them. 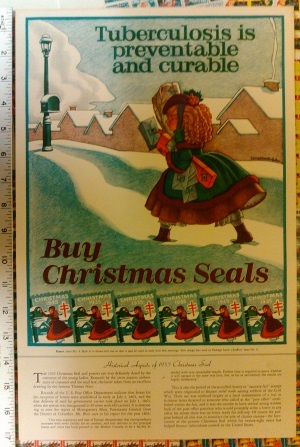 They were published in December or January between 1960 and 1989, and are useful to anyone writing a catalog of seals.